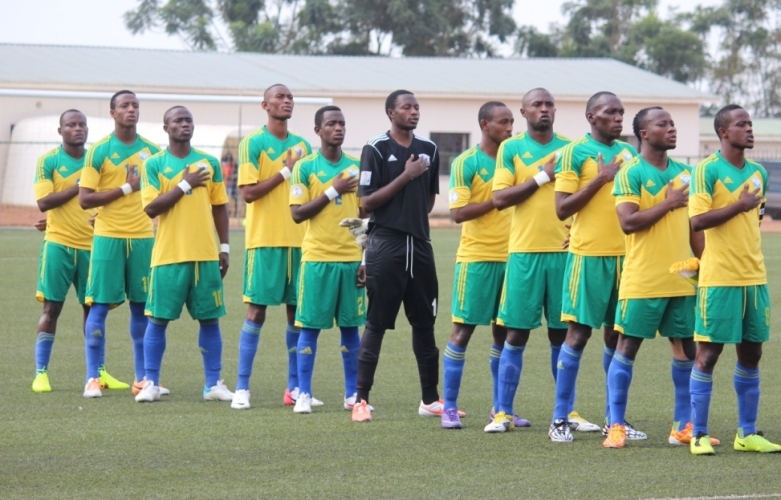 The Rwanda national football team represents Rwanda in international football. It is controlled by the Rwandese Federation of Association Football (French: FédérationRwandaise de Football Association), the governing body of football in Rwanda, and competes as a member of the Confederation of African Football (CAF), as well as the Council for East and Central Africa Football Associations (CECAFA), a CAF sub-confederation that governs football in East and Central Africa. The team bears the nickname Amavubi (Kinyarwanda for The Wasps), and primarily plays its home games at the Stade Amahoro in Kigali, the nation’s capital. They have never qualified for a World Cup finals, and reached their first Africa Cup of Nations in 2004. Rwanda qualified for its first Africa Cup of Nations in 2004. At the tournament they lost their opening match 2–1 to Tunisia before winning their first ever point in the competition after a 1–1 draw against Guinea. Rwanda went on to beat DR Congo in their final match by a 1–0 scoreline, but it wasn’t enough as elsewhere in the group Guinea and Tunisia drew, meaning both teams progressed to the quarter finals and Rwanda were eliminated. In 2001, after adopting the new flag of Rwanda, The Federation (FERWAFA) changed the color of the team kit. The new team kit consists of a yellow jersey, blue shorts and green socks for home matches, while their away kit is either all white or all blue. Adidas has been the outfitter for the Rwandan team since 2001.However, between 2004 to 2009, Rwanda used L-sport as their outfitter. Under the official FIFA Trigramme the team’s name is abbreviated as RWA; this acronym is used by FIFA, the CAF and the CECAFA to identify the team in official competitions. However the team was more commonly known as the RR, the acronym for the country’s official name, Repubulikay’u Rwanda or République du Rwanda, which the local press used when they referred to the team as the RR XI. The national team is often referred to as Amavubi (The Wasps). Runners-up (5): 2003, 2005, 2007, 2009, 2011.